One Family Home For Sale in Laconia, Bronx NY 10469. 1 Family For Sale in Most Beautiful Laconia Neighborhood, 100% Brick! 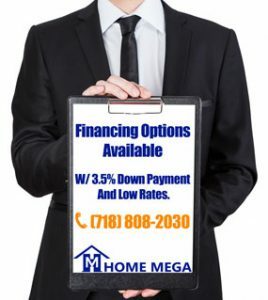 At Home Mega we offer great deals of houses for sale in Bronx NY. See this beautiful deal of one family home for sale in Laconia, Bronx NY. Large Brick One Family Home For Sale in The Magnificent Laconia Section of the Bronx! When Opportunity Knocks, All You’ll Need To Do is Open The Door! On The First Floor You’ll Find An Open Specious Living Room And Dining Section Along With A Kitchen. The Bedroom Layout Consists Of a 3 Sized Bedrooms in Addition To a Full Bath. The House Also Offers A Full Basement With Separate Entrance. Furthermore, This House Featuring a Driveway Along With A Garage and a Great Backyard Space!. With a Minor TLC, This House Can Easily Costume To a Great Place To Call A Home! 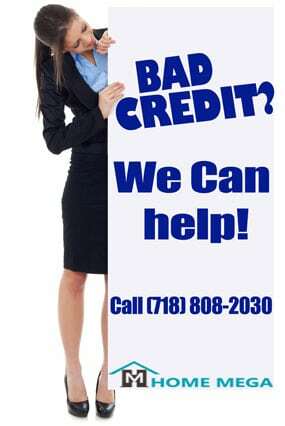 We assist with E-Z Financing Options @ The Lowest Down Payment & Rates. An Opportunity That Won’t Last Long…..
One Family Home For Sale in Laconia, Bronx NY 10469.